So in another month we’ll be on our way back to Florida for our annual family vacation. My main reason for going to Florida is to visit my family: dad, stepmom, stepsisters, uncle, aunt, grandmother & grandfather. That’s a lot of people to make time for, but I always make it work. My dilemma is that although I enjoy just sitting around talking to my grandparents,my kids & hubby get bored. I don’t blame them, after all this is supposed to be our vacation. Therefore, I always try to find things we can do that we will all enjoy & still give me time at home with my family. In past years, we just make daily trips to the beach, take a drive to Orlando just for the day and/or visit local amusement parks like the Miami Seaquarium. This year, I’m looking at either visiting either Key West or St. Augustine. I’ve been to both as a child but I’ve never been there as an adult & my hubby & kids have never been there at all. 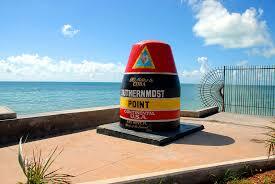 The idea of going to Key West is great because I’ll get a taste of history, culture & beach time all in one trip. The only thing is that it’ll be Spring when we go so I’m not sure how great the beaches will be. I’m sure they’ll be fine, but I can’t help but wonder if maybe St. Augustine will be the better choice. I remember going here & there was so much history to take in. I loved it all! 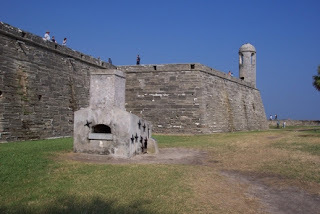 Bad part is that st. Augustine is a bit farther than Key West!! Oh the decisions! So, now the research & comparisons begin! In the next couple of weeks I’ll be researching & listing all the things we can do at each location. Hopefully this will help me make a decision! I would love to hear what you all think. If you’ve been to these places, what are your suggestions on family activities?